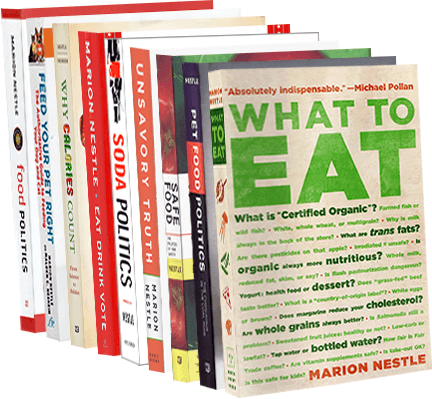 Food Politics by Marion Nestle » Eating Liberally: What about those smarmy Monsanto ads? 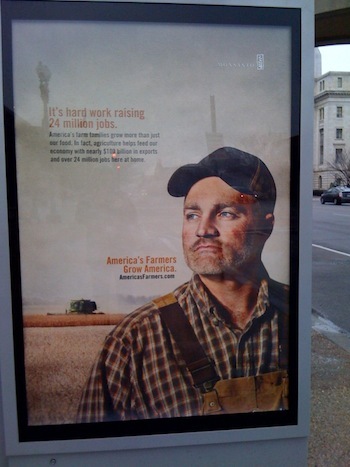 Eating Liberally: What about those smarmy Monsanto ads? In 2001, the biotechnology industry’s public relations campaign featured the equivalent of the Marlboro Man. Rather than cigarettes, however, this advertisement promotes the industry’s view of the ecological advantages of transgenic crops (reduced pesticide use, soil conservation), and consequent benefits to society (farm preservation). In 2002, a series of elegant photographs promoted the benefits of genetically modified corn, soybeans, cotton, and papaya. Producing more. Conserving more. Improving farmers’ lives. And that’s what Monsanto is all about. This is about who gets to control the food supply and who gets to choose. Too bad the Monsanto ads don’t explain that.